Carol Berg Sloan RDN, FAND is a registered dietitian/nutritionist and independent nutrition consultant. Carol is currently the health research director for the California Walnut Commission. 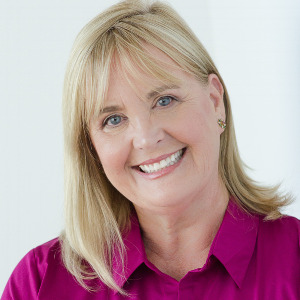 With thirty years of experience in the field of food and nutrition, Carol works with various food and nutrition companies and conducts print and broadcast interviews on a variety of health and nutrition topics. She is also a freelance writer specializing in food, nutrition and health features for national and local publications. Carol currently provides a nutrition column for School News Roll Call and is editor for the Nutrition Education for the Public Dietetic Practice Group. She is corporate dietitian for TruCare Community and consults with Monsanto as part of their Leaders Engaged in Advancing the Dialogue L.E.A.D. Network. Carol served two terms as a delegate to the Academy of Nutrition and Dietetics and was a member of the Academy Positions Committee and Finance and Audit Committee. She also served a two year term on the Executive Board for the California Dietetic Association. She is a member of many Academy DPGs including Nutrition Education for the Public, Diabetes in Care and Education, Oncology, Research, Vegetarian, Food and Culinary and is on the Executive Board for Dietitians in Business and Communications. She is a member of the American Society of Nutrition, The Obesity Society, the American Heart Association and American Association of Diabetes Educators. She received the Distinguished Service Award from the California Academy of Nutrition and Dietetics in 2010. Carol serves as a preceptor to the Individualized Supervised-Practice Pathway Program at California State University, San Bernardino and is a member of the Dean’s Council for the Department of Agriculture at Cal Poly Pomona.